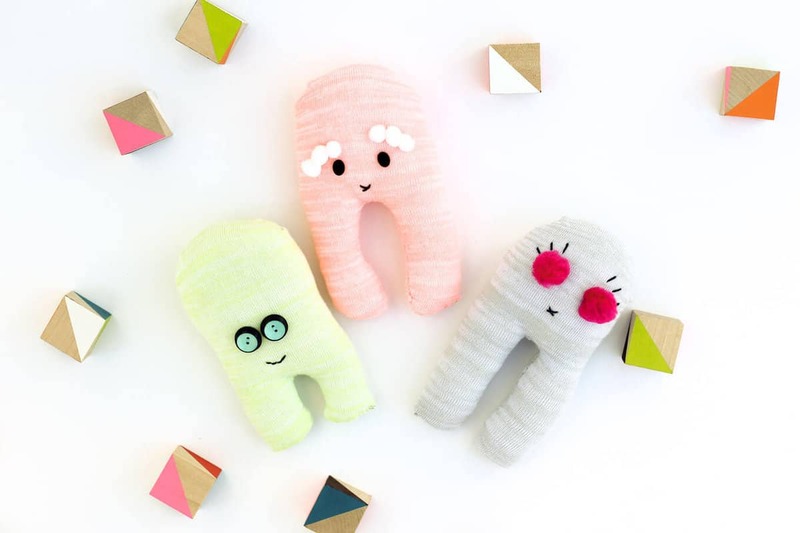 Put your own spin on your sweet babe’s new room with DIY nursery decor ideas that feel fresh, modern and different from what every other girl or boy born this year will have. This post contains affiliate links at no extra cost to you. Thanks for supporting Make & Do Crew! 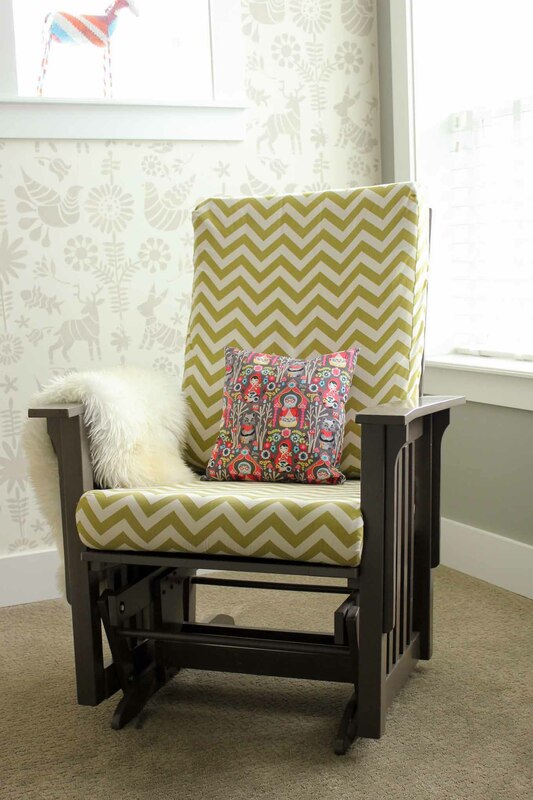 For a lot of expecting parents, dreaming up ideas for the nursery is a fun way to pass the time while everyone eagerly await the baby’s arrival. 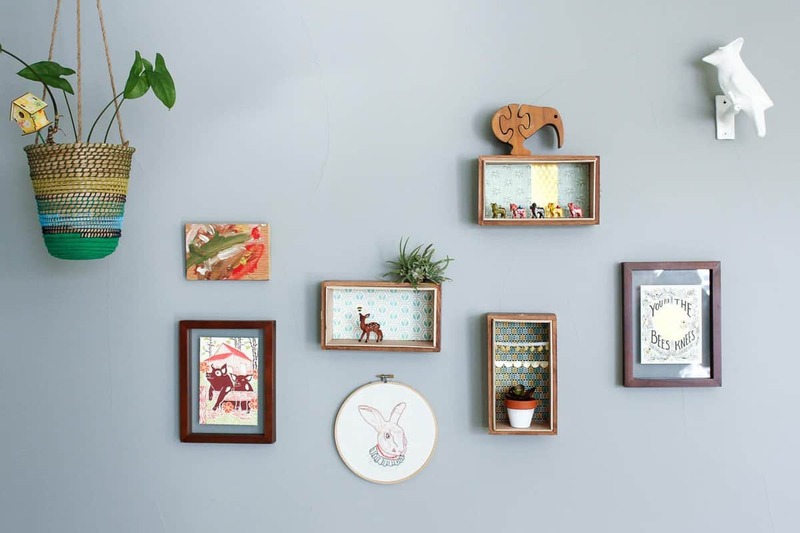 There’s nothing wrong with buying elements of your nursery decor, but adding some handmade touches to the room can go a long way in making it feel unique and imbued with love. 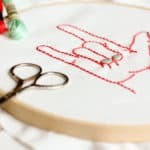 The following dozen DIY nursery decor ideas range in complexity from super easy to pretty time consuming. Whatever projects you choose to tackle, take your time and make them out of love. Your little baby will sleep most of the time at first and love to gaze at you when they’re awake. They won’t care what the nursery looks like. …But it sure is nice for you to have something beautiful to look at (besides your baby of course!) when you’re nursing at 3am. 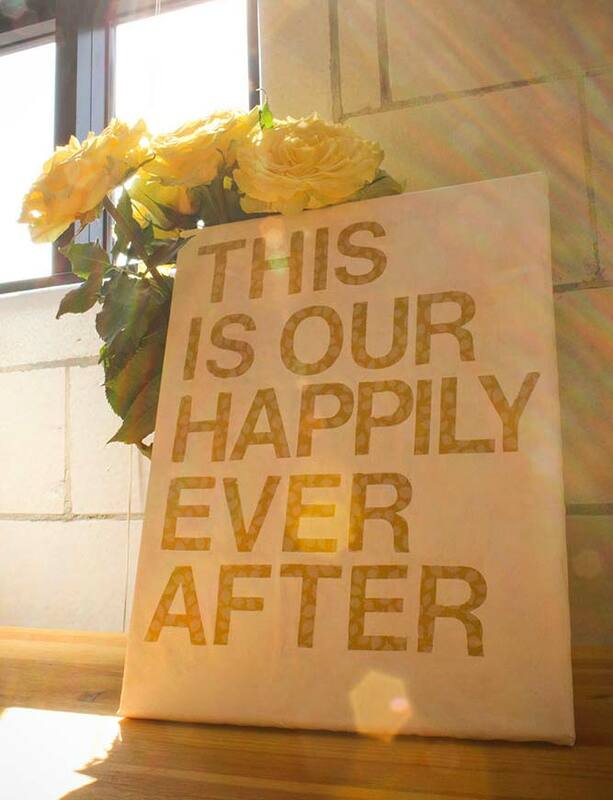 All of these decor ideas are gender neutral, so customize away based on if you’re having a boy, a girl or a surprise! 1. 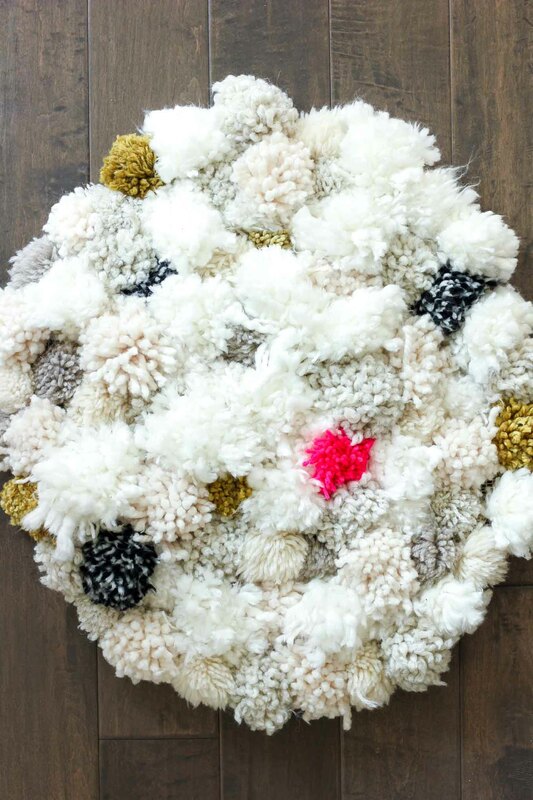 DIY Pom Pom Rug – Nothing improves a midnight diaper change like sinking your bare feet into this DIY pom pom rug as you stand in front of the changing table. This rug adds so much texture to a nursery which makes it fun for babies to squirm on, toddlers to “pet” and stylish moms to decorate with. 3. 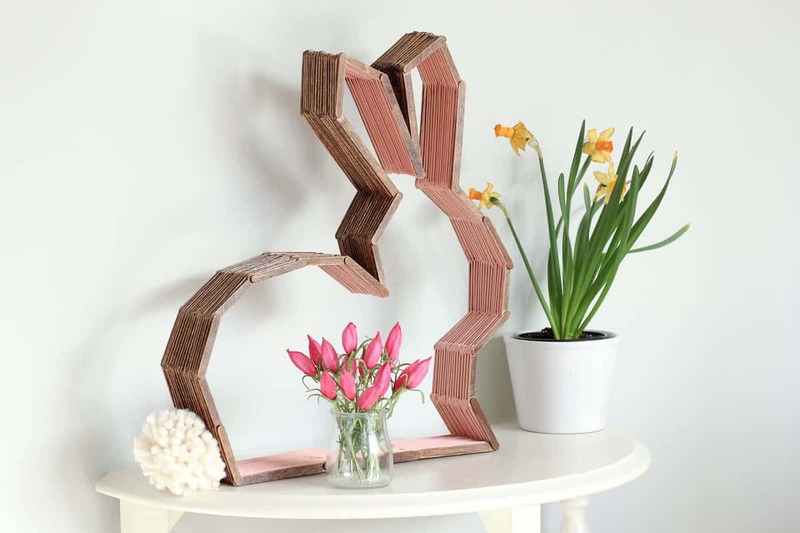 Popsicle Stick Bunny Shelf – If you’ve had a popsicle craving during your pregnancy, you can put all those sticks to good use with this DIY bunny shelf. Just kidding. 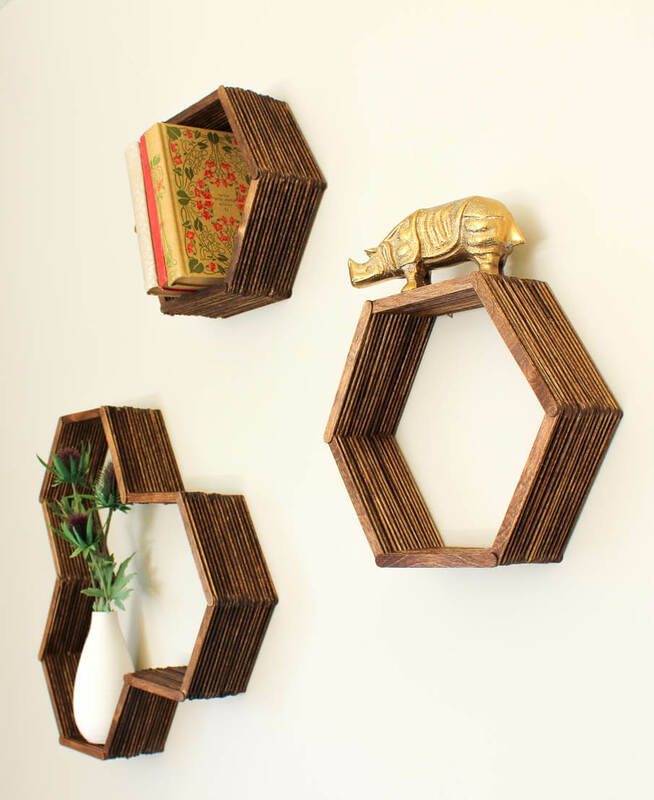 Buy a giant box of sticks and make this sweet little shelf with the free template. 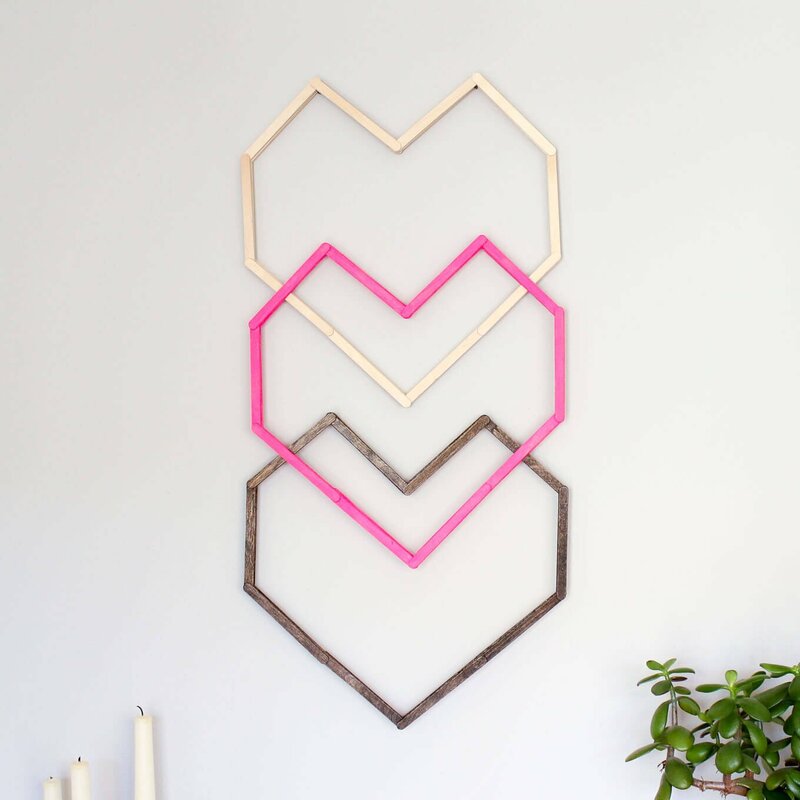 Hang it on the wall with some other DIY art to make a capital-A adorable gallery wall or set in on another shelf for a totally meta decoration. 4. 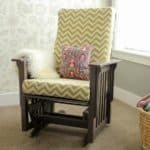 Simple Glider Rocking Chair Upgrade – Gliders are often kind of ugly, but they don’t have to be. Find one on Craigslist and give it a simple makeover so that it’s something you actually want to look at everyday. 5. Cigar Box Floating Shelves – These floating box shelves are super easy to make (like 15 minutes easy) and you can swap out the background paper or the little guys living inside whenever you want to change up your wee one’s nursery decor. 10. Inspiring Wall Art – Find your favorite quote, song lyric or nursery rhyme and make a sweet little wall hanging out of a canvas, paint, fabric and stickers. 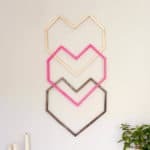 This is a DIY nursery decor at it’s finest–even a woman who is 13 months pregnant could have the energy to tackle it. It’s that easy. 11. Squishy Knit Hexagon DIY Play Mat – I’m not going to lie. 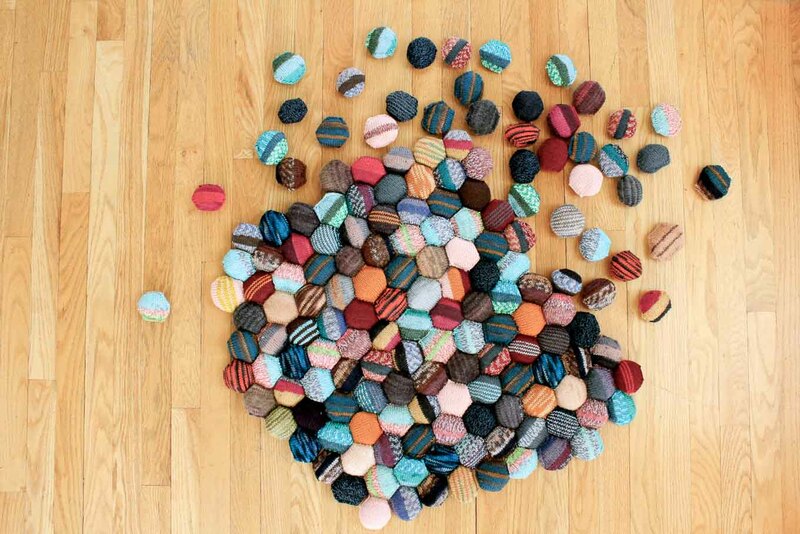 This Beekeeper’s Quilt is not a quick project. But it’s still one of my favorite things I’ve ever knit. It makes a wonderful, fluffy place to plop a baby and it looks super cool on the floor of a nursery. 12. 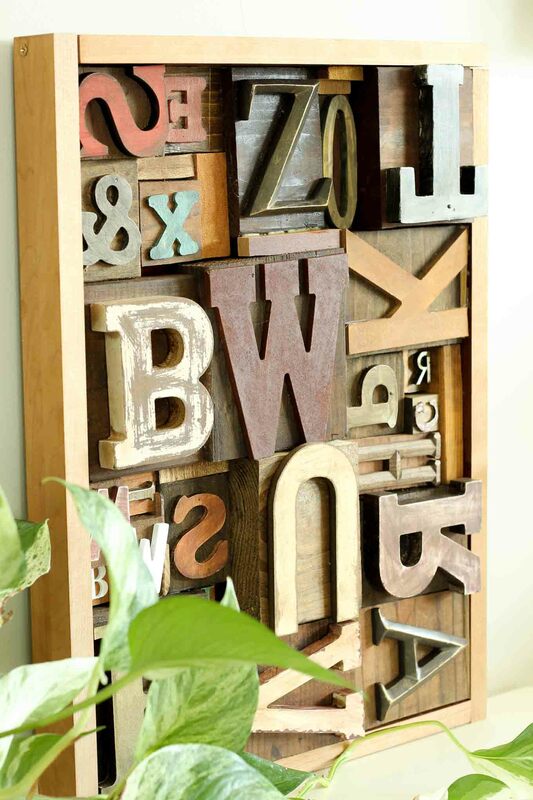 Faux Letterpress Wall Art – This is another DIY nursery decor idea that doesn’t feel too childish, yet gives a cool nod to the alphabet. Make it with cheap wooden letters from the craft store! 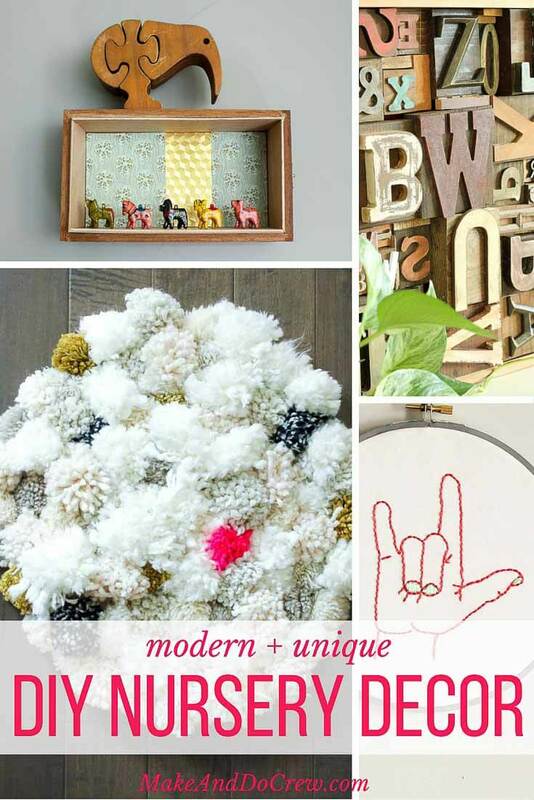 Follow me on Pinterest for lots more DIY nursery decor ideas! « End of School Teacher Appreciation Gift – WINE! 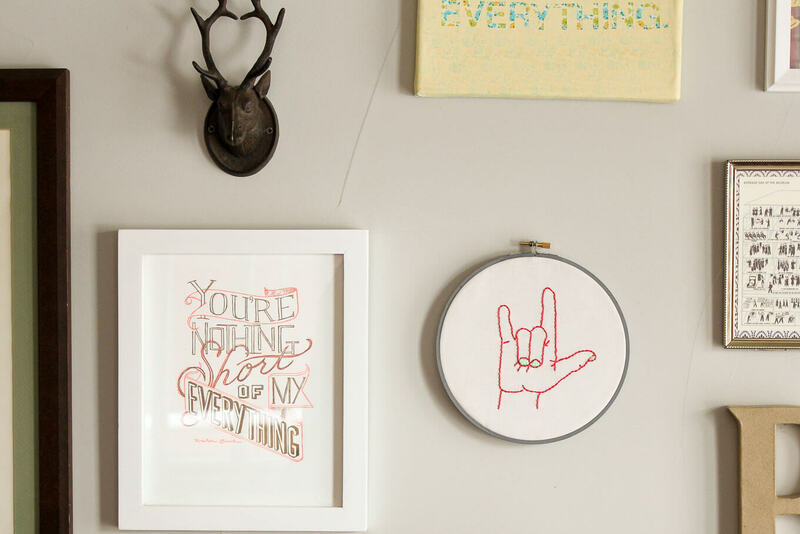 No judgement is passed if we DIY these decorations for our adult rooms, correct? So cute details. What about baby room window blinds? It’s better light, maching with furniture and murals or better dark to avoid sun rays? My baby is 17 weeks old and i want to be safe and sure.